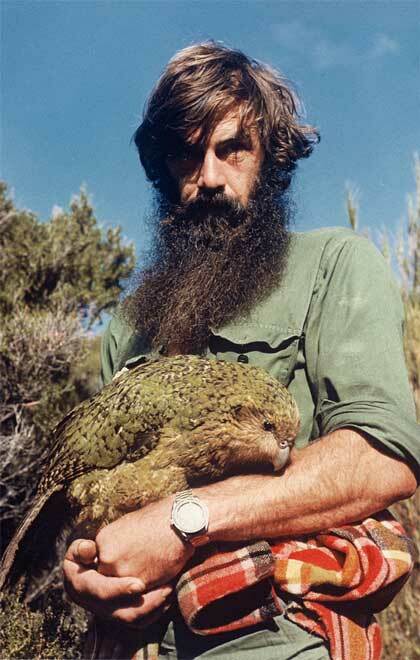 A population of kākāpō were found in Stewart Island’s Tin Range in the 1970s, at a time when the species was thought to be on the brink of extinction. This female, Mandy, was photographed with ranger Gary Aburn in 1980. In 2012 a kākāpō population thrived on Codfish Island (Whenuahou), off Stewart Island’s west coast.